Holiday resorts provider, Club Med, has joined the ranks of enterprises rolling out Facebook’s new professional social media platform, Facebook at Work, in a bid to improve customer experiences globally. Club Med claims to be the first global tourism company to offer Facebook at Work to its 13,000 employees, stretching across 66 resorts and 40 countries and encompassing 110 different nationalities. 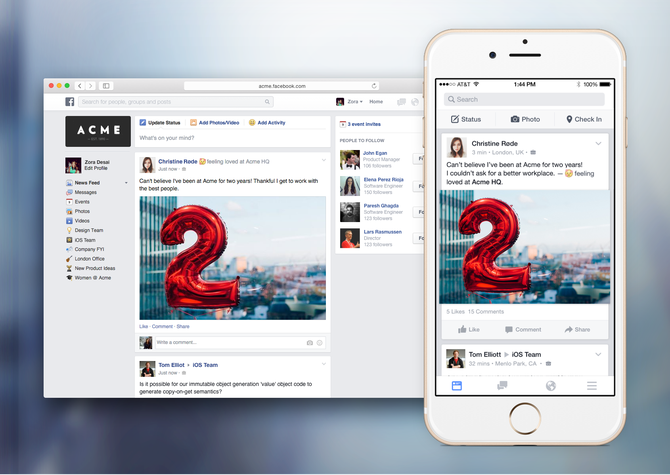 Facebook at Work, which is due for release shortly, looks and operates like the traditional version of Facebook, but will allow users to chat with colleagues, connect with professional contacts and collaborate on documents in a space that's separate from their personal identities and activities. The platform is based on the Facebook application, includes similar features such as chat, survey and translation, and is designed for mobile interactions. For many in the industry, the launch could pit the social media giant against more business-savvy stalwarts such as Google, Microsoft and LinkedIn. However, several analysts, including Forrester’s VP and principal analyst, Rob Kowoplitz, suggest Facebook's current capabilities could already be competing with popular enterprise social offerings like Yammer, Chatter, IBM Connections, Lync and Cisco Jabber. According to Club Med, the platform will provide a unified platform that helps deliver on its goal of sharing and enhancing the guest experience. Employees from guest management services to executive level will be able to contact each other via mobile phones, tablets or computers across time zones, languages and platforms. Club Med’s chief digital marketing officer, Anne Browaeys-Level, said the company’s mission to please customers when they stay at Club Med resorts feeds into its employee culture. Senior VP of human resources, Sylvie Brisson, said the platform was about making its colleagues’ everyday lives easier. “With Facebook at work, we will be all connected in a more fluid way, favouring the cooperation on projects, ideas propositions that each and every one will enrich: A new proximity for the company, that also offers visibility to each collaborator,” she said. More than 300 companies have been testing out Facebook at Work globally during the beta trials, including the US-based Coldwell Bank and the UK’s Royal Bank of Scotland. Facebook's social network for business will be free at launch, but the company is expected to eventually charge for additional support, analytics and integration with other enterprise collaboration tools. “We spent the first 11 years of the company connecting people in their personal lives, and now we're coming after the workplace,” Julien Codorniou, the company's director of global platform partnerships, and leader of the Facebook at Work team, said in a recent interview with CIO.com. With additional reporting by Matt Kapko, CIO.com.